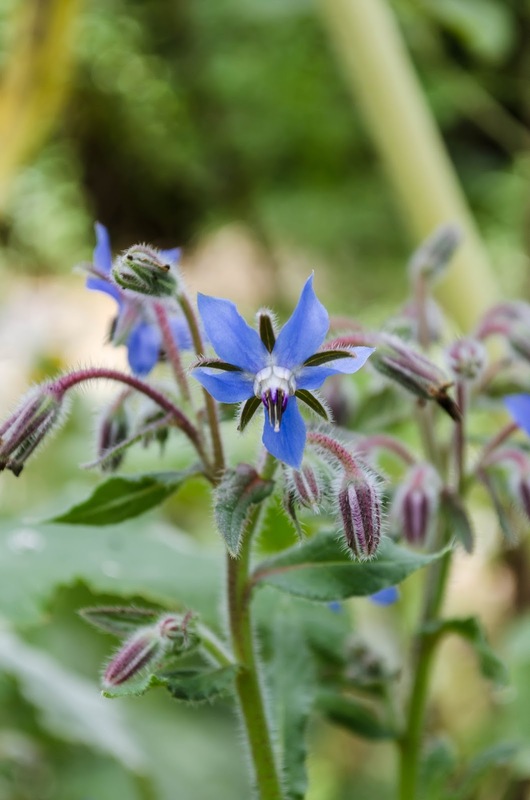 I wasn't sure I'd have any blooms to share for this August Garden Bloggers Bloom day. It has been such a hot and dry summer. The weather reports that El Nino is to blame or what they are calling the potentially 'Godzilla' El Nino event. In any case, the Portland, Oregon area has had little to no intermittent moisture. I've been concerned that some of my plants would not survive, but all in all, my careful watering regime has succeeded. 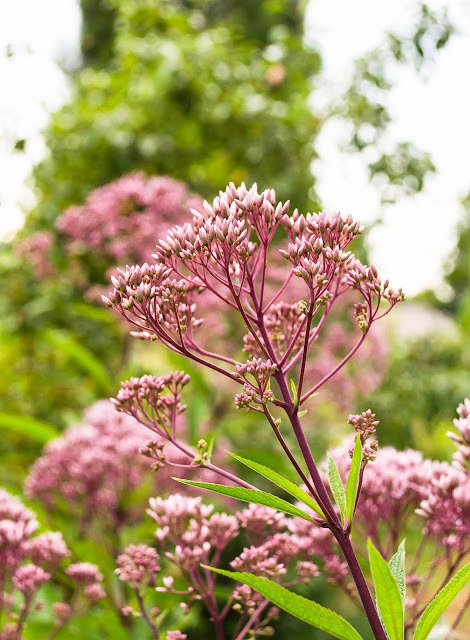 Here is Joe Pye Weed, which is stealing the show, lining the back of my sun garden. The bee's are delighted with the blooms. Sedums have been pretty happy this summer. 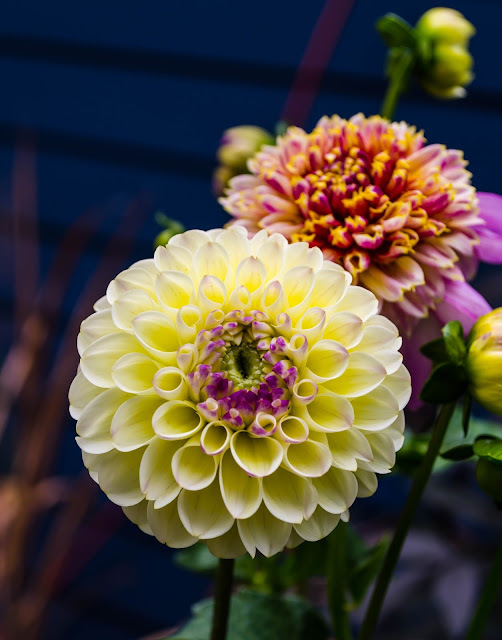 Both 'Autumn Joy' and 'Autumn Brilliance' are showing profuse blooms. Back to the veggie gardens and my box of blooms sown from seed. They are going on their second wave of color. Borage, bachelor buttons, cosmos, zinna's and calendula. 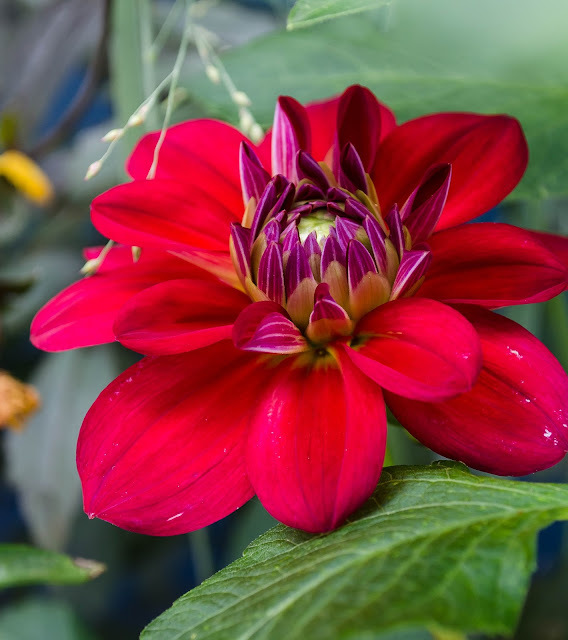 Dahlia's are blooms. They are some of my late summer favorites. Fresh herbs are blooms too. 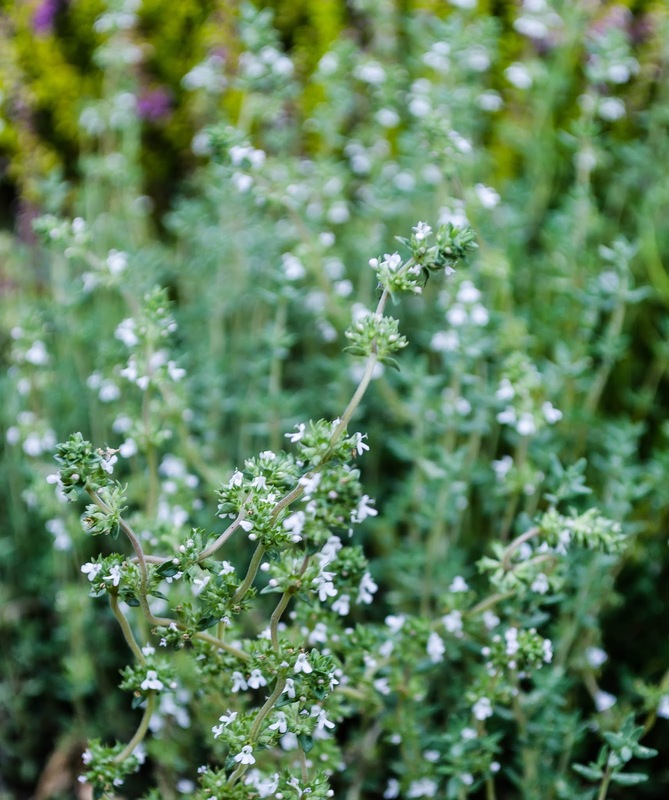 Below is thyme. I couldn't get a decent picture my oregano, but it's also blooming away. One of my robust shrubs is Abelia 'Sunshine Daydreams'. 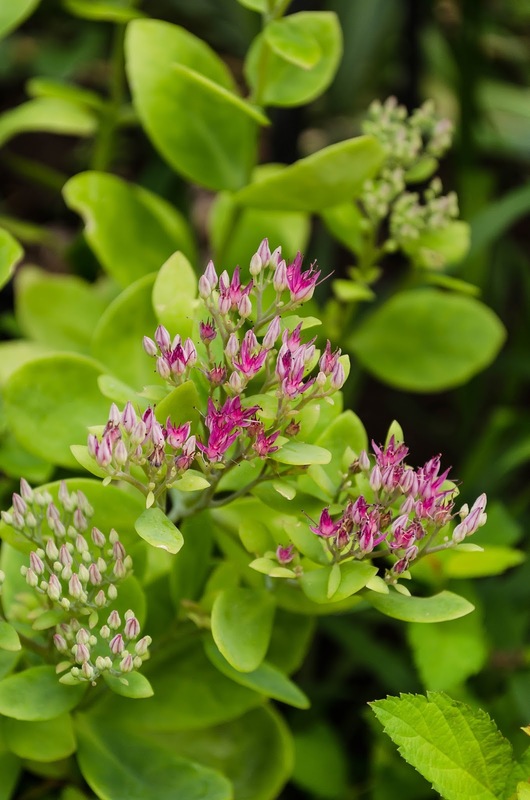 I have loved this plant since I incorporated it into my front garden beds, three years ago. It is heat and pretty drought tolerant. It provides such pretty, dainty, blooms all summer. And finally, my sturdy, hard working, 'Fiesta Blend' nasturtium. I sowed them all around my gardens last spring, fearing the reports that we would have a hot, hot summer. I have so many new, fragile plants and I didn't want them to burn. 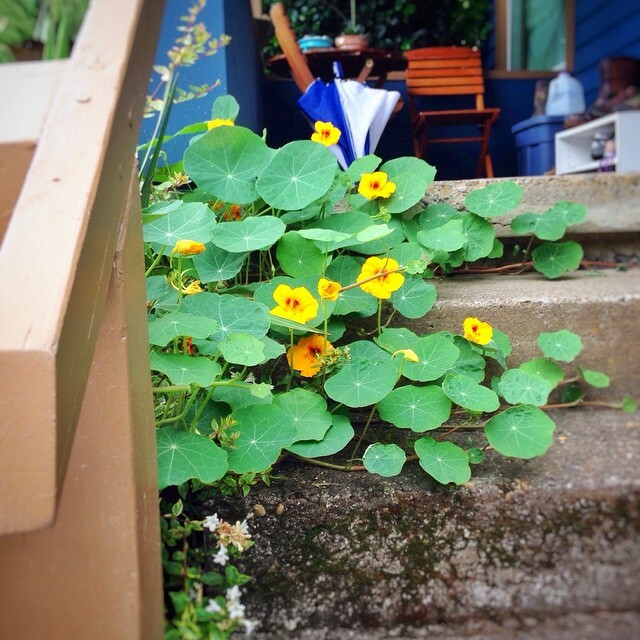 Here is the nasturtium taking over the front steps. 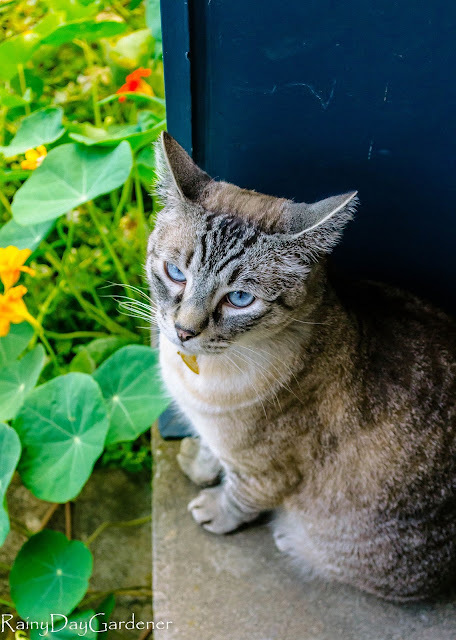 Silver cat, annoyed that I am yet again taking his picture, poses with the 'Alien Plant' as my husband lovingly calls my nasturtium. 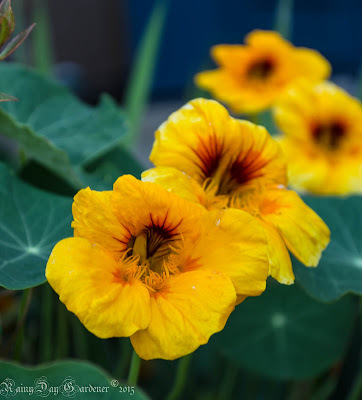 Well, the nasturtium is doing it's job, shielding my tender plants from the hot sun and at the same time..it smells pretty darn nice. Not bad for a few seeds. Happy GBBD! Visit Carol over at May Dreams Garden to see all the fabulous garden bloggers showing off their pretty blooms this month. You could pick the leaves and flowers of the Nasturtium and put them in a salad too. I've also heard that if you pickle the seeds, they can be used like capers in any recipe. Glad to see you have some pretty flowers to share. I found a few too. Happy GBBD! Pickle them? Wow - must try that some time! They are liberal seeders, so I have a good supply to try. Thanks for the tip! 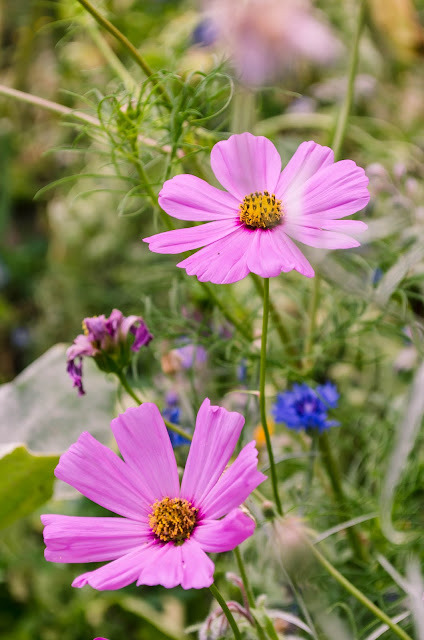 Your blooms look lovely, despite the drought! Our cats do give us the stink eye when we overdo the picture taking. Luckily, the flowers seem to enjoy the limelight...especially when you do them justice like this. I need to find a home for some Pye Weed. 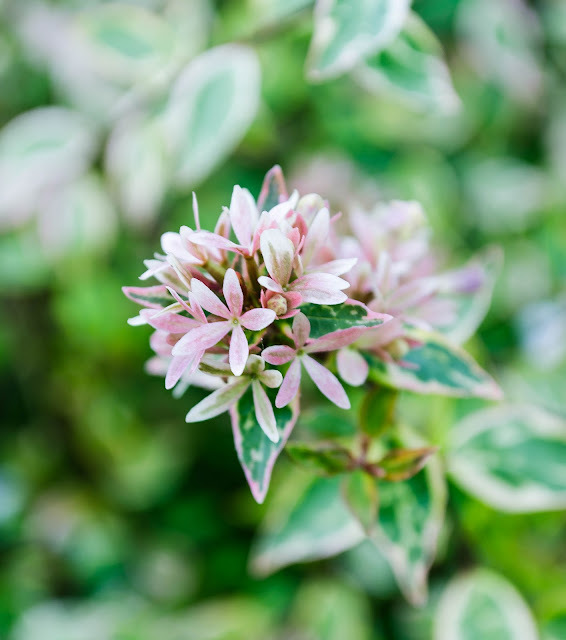 And that Abelia....I need that in my life! Jenni, hi! hope all is well. It looks like your garden is doing nicely. Too much heat, no water, makes for some unhappy plants. :) We are praying for rain_hopefully September will bring us some. Hello Diana! I hope you are doing well! I wanted to tell you that the heirloom cherry tomato that you gave me a few years back, sends up volunteers every year, which I pot up and tend and then pass along. 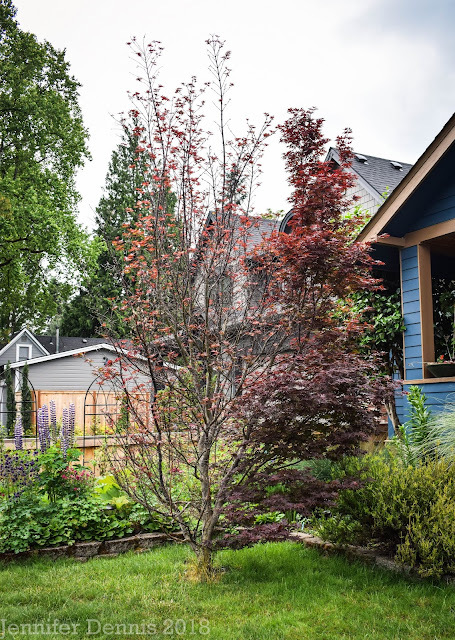 I have three neighbors and another fellow garden blogger who are now all proud owners.